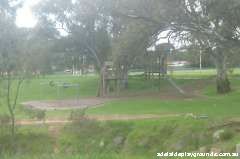 This is a good little park with a creek through the middle of it. 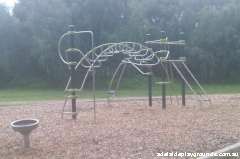 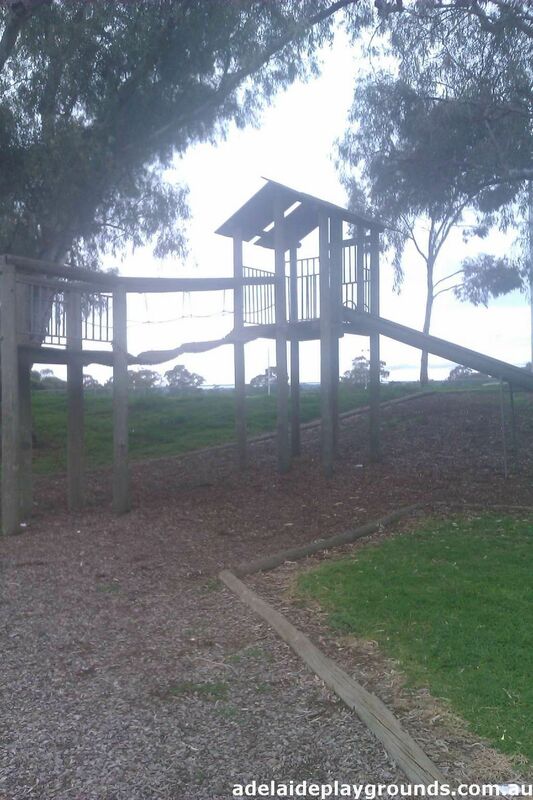 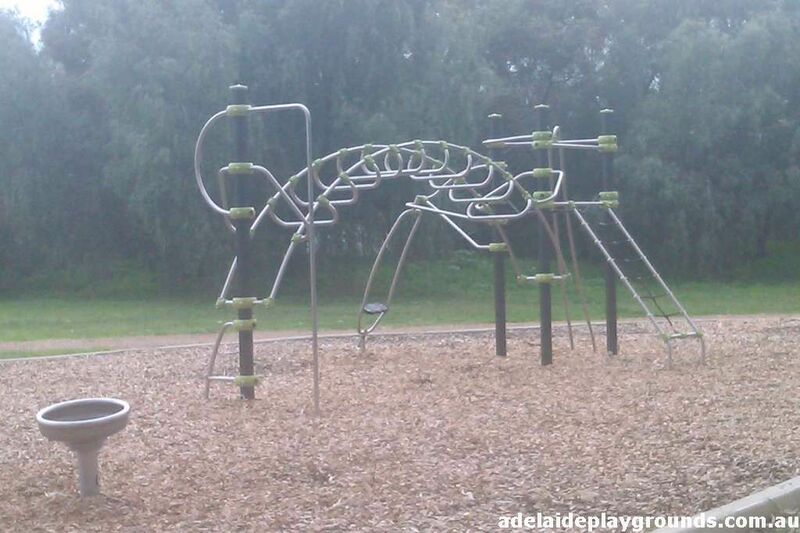 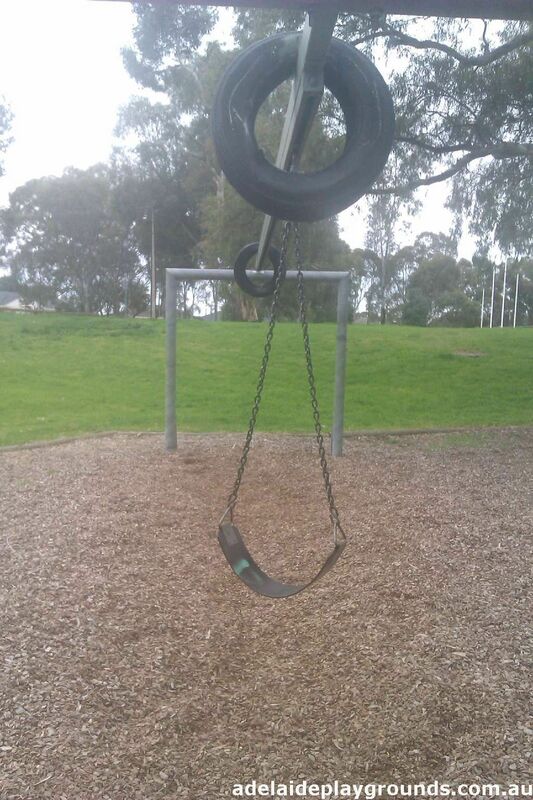 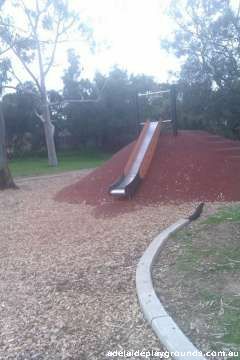 One side has an "Old School" playground made of wood - a kind of tree house effect, and the other side has what looks to be relatively new equipment. 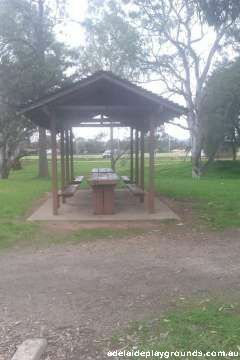 There are plenty of tables to have a picnic (mind you they do look well used and grotty) and there are tennis courts and a basketball ring for extra activities. 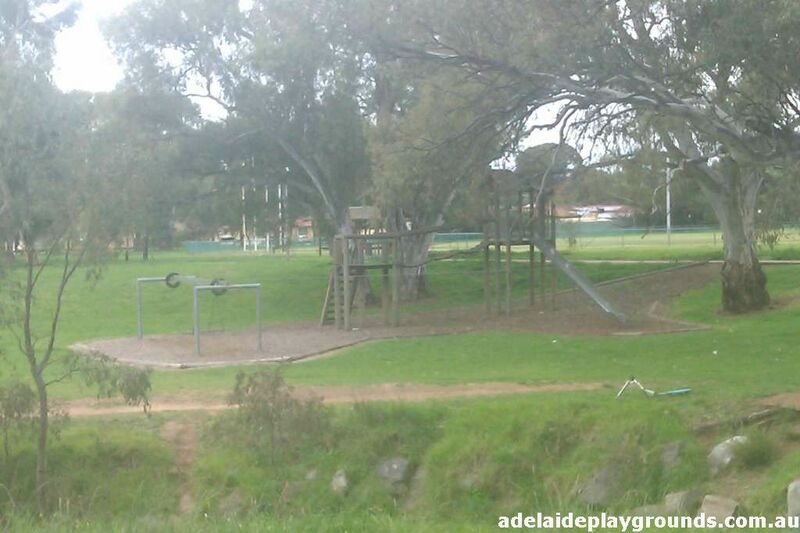 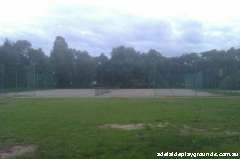 The park is adjacent an oval, so there is lots of space for ball games there when sport isn't being played. There appeared to be toilets, but they were locked.